Here's a song that pretty much how much I'm feeling right now. The music has this beautiful, sad quality to it, thanks to the violin and bass, and his voice is just as haunting. It's not exactly a sad song, but it's not really upbeat neither. Or maybe his voice is kind of sad but the music is upbeat? This is pretty much how I'm feeling right now. It's nice out, it's summer. The weather doesn't get much better than it is right now, but my mood is about the same as it was when we were 2/3 of the way through winter. Down, slightly melancholic, and ready for a change, even though the yard is full of birds, my flower beds are in bloom, and summer is in full swing. So, that's talk for another day. In the meantime, enjoy Andrew Bird's "Pulaski at Night". I love the violin in this song. There's some live versions on YouTube that are pretty good too. And don't be surprised if you end up hitting repeat when it's done. 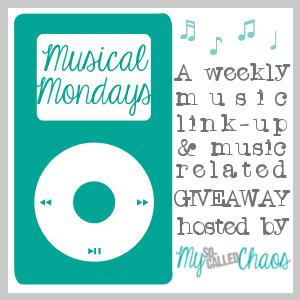 And of course, don't forget to head over to Miss Angie's and check out what everyone else is listening to on Musical Mondays, and if you blog, find out how you can link up.